The Pine Tree Capital of the World. "Just what you're looking for"
Location of Walker in Livingston Parish, Louisiana. Walker is a city in Livingston Parish, Louisiana, United States. The population was 6,138 as of the 2010 census, making Walker and Denham Springs the only parish municipalities classified as cities. The area now known as Walker was founded by Michael Joseph Milton, Jr. (1795-1863) and “several slaves” in 1825. Michael Milton married in 1832 in Livingston Parish. He and his wife, Martha Clark Milton (1803-1878) developed 343 acres from a Land Grant for his service in the War of 1812. The Milton family was a pioneering family from North Carolina who settled an area in Alabama, before establishing the new community in the piney woods east of the Amite River and Denham Springs. In this sense, Walker, Louisiana, by virtue of its founding, traces its roots to the founding of the nation in Jamestown. The Federal government recognized the growth of the settlement and opened a post office as Milton Old Field in 1856. Michael Milton was appointed as postmaster in 1858. In 1890 the post office was renamed after Dr. William Elliott Walker, M.D., a legislator from nearby Springfield, who had, also, served as a Lt. Col. in the Confederate States of America. Walker became a city in 2011, by proclamation of Louisiana Governor Bobby Jindal. Walker is located at 30°29′22″N 90°51′46″W﻿ / ﻿30.48944°N 90.86278°W﻿ / 30.48944; -90.86278 (30.489423, -90.862872). According to the United States Census Bureau, the city has a total area of 5.8 square miles (14.9 km²), all land. 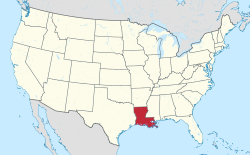 The city is located roughly 20 miles East of Baton Rouge, the Louisiana State Capitol. Walker is part of the Baton Rouge Metropolitan Statistical Area. The 2010 Census noted the population of Walker is 6,138 - up 28% over the past decade. Walker officially became a city. As of the census of 2000, there were 4,801 people, 1,758 households, and 1,320 families residing in the town. The population density was 834.8 people per square mile (322.4/km²). There were 1,905 housing units at an average density of 331.2 per square mile (127.9/km²). The racial makeup of the town was 86.34% White, 12.37% African American, 0.23% Native American, 0.04% Asian, 0.23% from other races, and 0.79% from two or more races. Hispanic or Latino of any race were 1.19% of the population. There were 1,758 households out of which 39.6% had children under the age of 18 living with them, 59.4% were married couples living together, 11.1% had a female householder with no husband present, and 24.9% were non-families. 21.3% of all households were made up of individuals and 8.5% had someone living alone who was 65 years of age or older. The average household size was 2.73 and the average family size was 3.18. In the town the population was spread out with 29.8% under the age of 18, 9.7% from 18 to 24, 31.4% from 25 to 44, 19.5% from 45 to 64, and 9.6% who were 65 years of age or older. The median age was 32 years. For every 100 females, there were 97.9 males. For every 100 females age 18 and over, there were 91.6 males. The median income for a household in the town was $38,298, and the median income for a family was $43,750. Males had a median income of $32,907 versus $21,775 for females. The per capita income for the town was $16,056. About 5.9% of families and 9.6% of the population were below the poverty line, including 5.8% of those under age 18 and 20.6% of those age 65 or over. Walker is within the Livingston Parish Public Schools system. The Livingston Parish Literacy and Technology Center in Walker is named for Sally Clausen, former Louisiana commissioner of education, and her brother, Thomas G. Clausen, state education superintendent from 1984 to 1988. Mike DeJean, Former Major League Pitcher, grew up in Walker and graduated from Walker High School. ^ History of Livingston Parish, Louisiana 1986. Compiled and edited by History Book Committee of Edward Livingston Historical Association, P.O. Box 478, Livingston, LA 70754. 1986. pp. 64–69. ISBN 0-88107-051-3. ^ Purdue, D.N. "Walker, Louisiana". US Genealogical Archives. usgwarchives.net. Retrieved 29 August 2018. ^ Milton, Martha (15 July 1878). "War of 1812 Widow's Brief". War of 1812 Pension and Bounty Land Warrant Application Files, compiled ca. 1871 - ca. 1900, documenting the period 1812 - ca. 1900 (15 July 1878). RG15-1812PB-Bx2425: National Archives. United States National Archives. p. RG15-1812PB-Bx2425. Archived from the original (Microfilm) on July 1878. Retrieved 29 August 2018. ^ "About Walker". City of Walker, Louisiana. Walker, LA: walker.la.us. 2018. Archived from the original on 2008-08-29. Retrieved 2018-08-29. ^ Stuart, Carol (2009). "100 Years in Walker, Louisiana". Walker, Louisiana: The Public Years. Walker, LA: Private Facebook History Group. p. 1. Archived from the original on 2008-08-29. Retrieved 2018-08-29. Walker was originally named Milton Old Field for Michael Milton, who, with his wife Martha Clark and several indentured servants, traveled overland from the Amite River near Benton Ferry Landing (now Denham Springs) to settle on the site in 1825. ^ Morgan, Jacksion. "The Miltons/Meltons of Moore County North Carolina" (PDF). The Wallaces of Moore County, North Carolina. Moore County. Retrieved 1 August 2016. ^ First Census of the United States, 1790. Washington D.C.: National Archives. p. (NARA microfilm publication M637, 12 rolls). Records of the Bureau of the Census, Record Group 29. ^ a b McCartney, Martha (2007). Virginia immigrants and adventurers, 1607-1635 :: A Biographical Dictionary. Baltimore, Maryland: Genealogical Publishing Company. pp. 494–495. ISBN 978-0-8063-1774-8. ^ Record of Appointment of Postmasters, 1832-1971. Washington D.C.: National Archives. p. NARA Microfilm Publication, M841, 145 rolls. Records of the Post Office Department, Record Group Number 28. ^ "Michael Milton," Record of Appointment of Postmasters, 1832-1971. Washington D.C.: National Archives. p. NARA Microfilm Publication, M841, 145 rolls. Records of the Post Office Department, Record Group Number 28. ^ Pardue, D.N. (1976). "The Free State: A History and Place-Names Study". book. Walker, LA: LAGenWebArchives and Louisiana American Revolution Bicentennial. Retrieved 2015-01-27. ^ "Executive Department Proclamation number 56 BJ 2011" (PDF). State document. Baton Rouge, LA: Executive Department of the State of Louisiana. 2011-06-24. Retrieved 2015-01-27. ^ "The Walker Report". The Walker Report. City of Walker. Retrieved 28 February 2011. ^ "Livingston Center dedicated; named for Clausen family, September 10, 2007". southeastern.edu. Retrieved October 7, 2013. ^ "Mike DeJean". Baseball Reference. This page was last edited on 22 January 2019, at 04:00 (UTC).